The death of HRH Princess Alexandra, the Princess of Hohenburg-Langenburg at Schwäbisch Hall on April 16, 1942 went largely unnoticed by the British or American press. 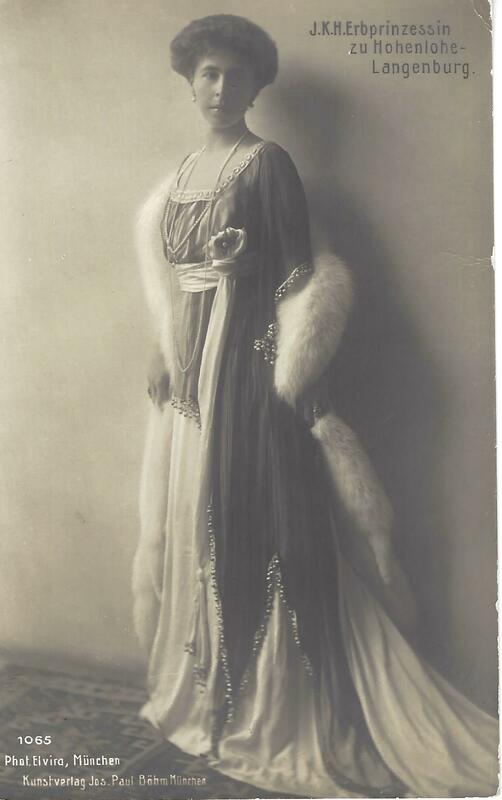 One can assume that news of her death during the second world war did not filter out of Germany. This is not a surprise because the 63 year old princess was largely unknown outside Germany, where she had lived for most of her life. 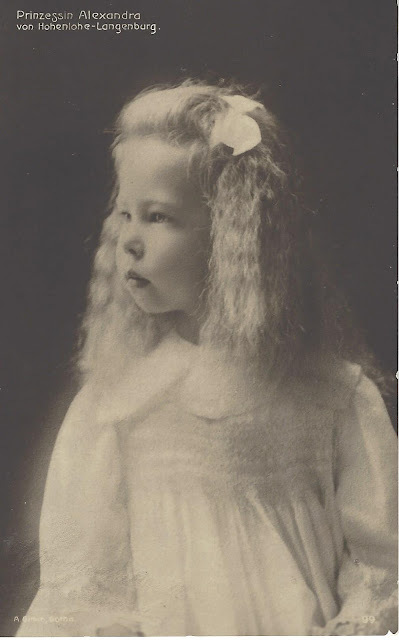 The Princess of Hohenlohe-Langenburg was a British princess by birth, a granddaughter of Queen Victoria. As the late John Wimbles wrote in his three part article on Princess Alexandra (Royalty Digest: 2005), Alexandra hovered in the background, "a shadowy figure eclipsed by her brilliant sisters," Queen Marie of Romania, Grand Duchess Victoria Feodorovna of Russia, and Infanta Beatrice of Spain. 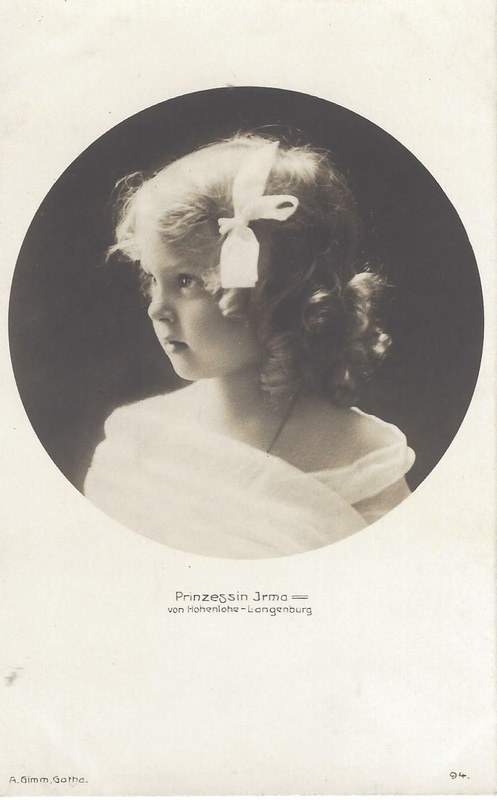 HRH Princess Alexandra Louise Olga of Edinburgh 'was born at the Edinburgh Palace in Coburg on September 1878, the fourth child and third daughter of HRH Prince Alfred, Duke of Edinburgh, second son of Queen Victoria, and HIH Grand Duchess Maria Alexandrovna of Russia, daughter of Tsar Alexander II. 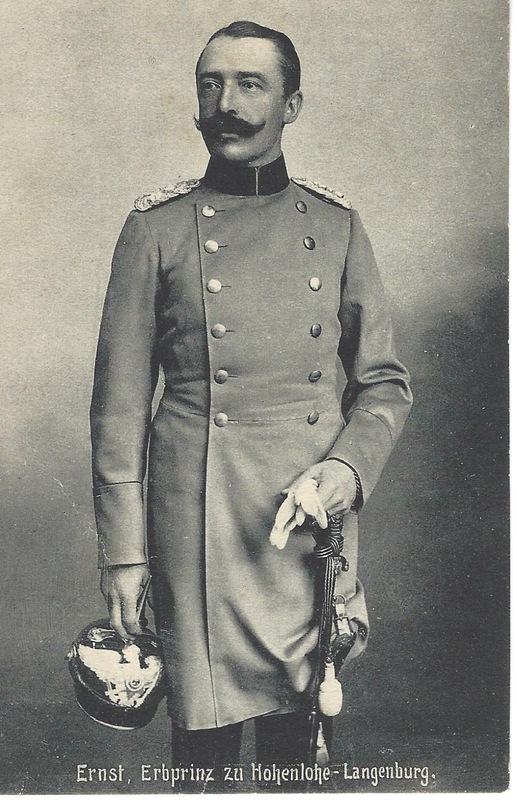 In 1893, the Duke of Edinburgh succeeded his paternal uncle, Ernst II, as Duke of Saxe-Coburg and Gotha. Sandra and her three sisters and one brother never lost their British titles, and acquired the title Princess and Prince of Saxe-Coburg and Gotha, when their father became the Duke of Saxe-Coburg and Gotha. 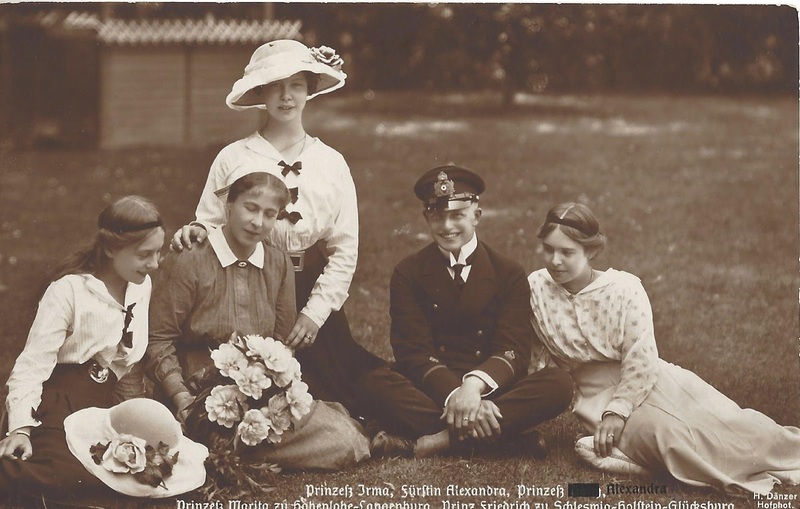 Four months after her sister, Victoria Melita’s wedding to Grand Duke Ernst Ludwig of Hesse and By Rhine, in April 1894, the Duke of Saxe-Coburg and Gotha hosted a shooting party at Oberdorf, near Coburg, where the invited guests included Prince Hermann of Hohenlohe-Langenburg, and his only son, Ernst who fell head over heels in love with Sandra after meeting her. Prince Ernst was a grandson of Queen Victoria's older-half sister, Princess Feodore. Her position as a British princess was not ignored. 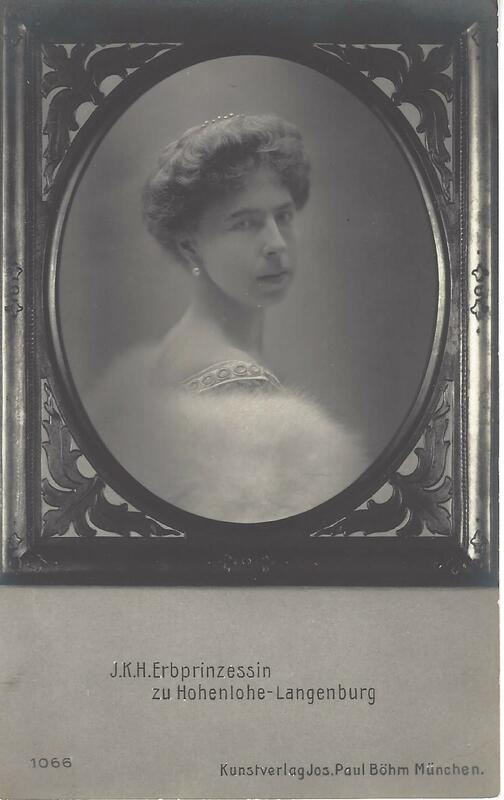 In 1885, she was one of the bridesmaids at the wedding of her aunt, Princess Beatrice, to Prince Henry of Battenberg. 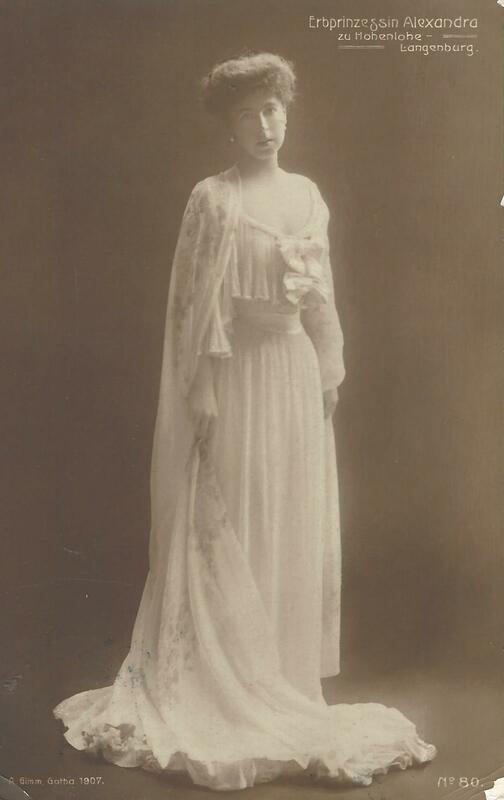 She was also a bridesmaid at the wedding of her first cousin, the Duke of York, to Princess May of Teck, in 1893. 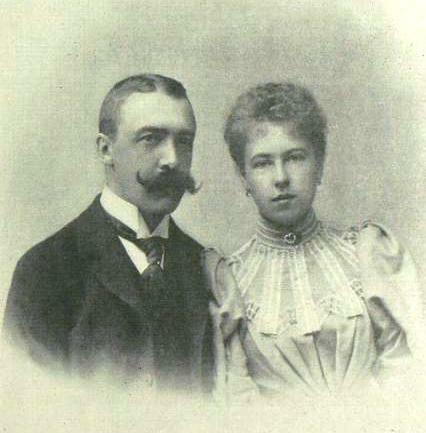 The wedding took place at Coburg on April 20, 1896. 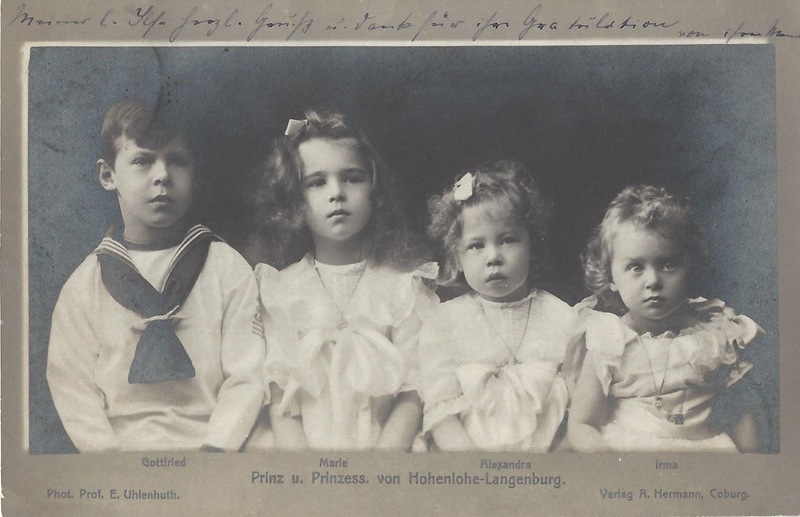 The couple had five children: Prince Gottfried, 8th Prince of Hohenlohe-Langenburg May 24 1897 – May 11, 1960) ; Princess Marie Melita of Hohenlohe-Langenburg (January 18 1899 – November 8, 1967); Princess Alexandra of Hohenlohe-Langenburg (2April 1 1901 – October 26, 1963); Princess Irma of Hohenlohe-Langenburg (4 July 4, 1902 – 8 March 8, 1986); and Prince Alfred of Hohenlohe-Langenburg (April 16-April 18, 1911). Hereditary Prince Ernst succeeded his father in 1913, as the 7th Prince of Hohenlohe-Langenburg. 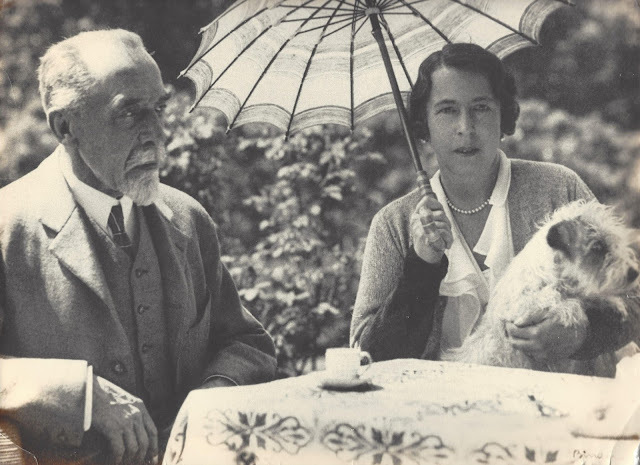 Although Alexandra was an early supporter of the Nazi Party (and became a member of the Party in 1937) she remained affectionate toward England. In 1936, she wrote to her sister, Missy (Queen Marie): "I am so glad you are enjoying your stay in England. I almost envy you as I have a great longing once to see the dear country of our childhood. 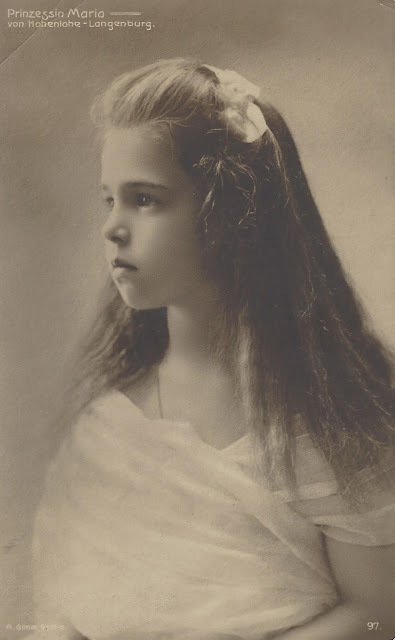 She had suffered from ill health for some years. 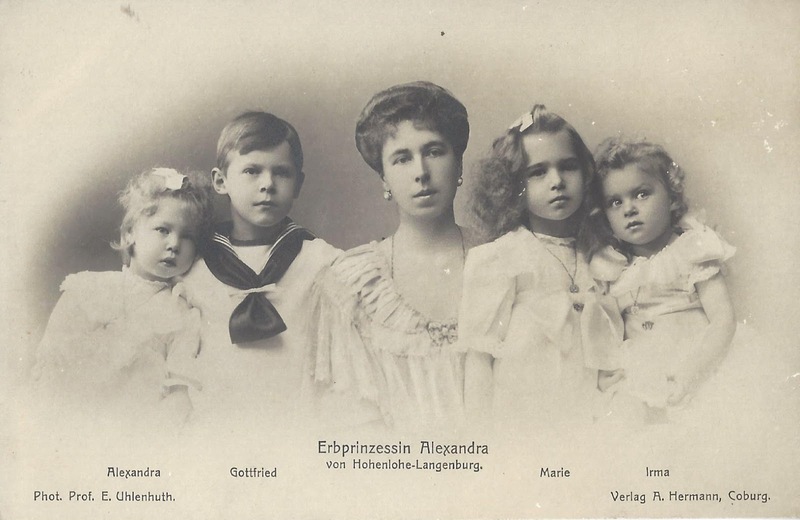 Alexandra is cited in biographies of her sisters, Marie, Victoria Melita and Beatrice, as well as Dearest Missy. 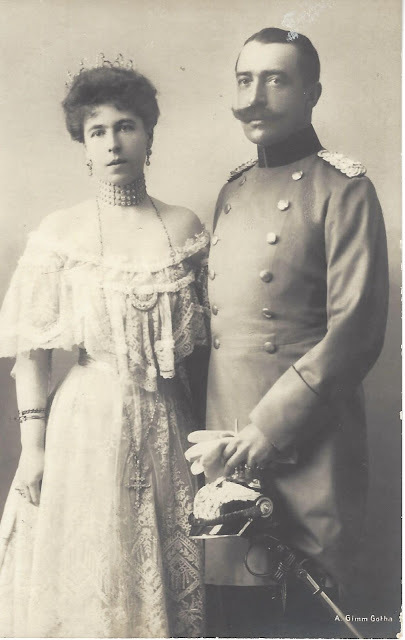 Romanian royal historian Diana Mandache edited the letters between Queen Marie and her mother, the Duchess of Saxe-Coburg and Gotha. The book was published by Rosvall Royal Books. 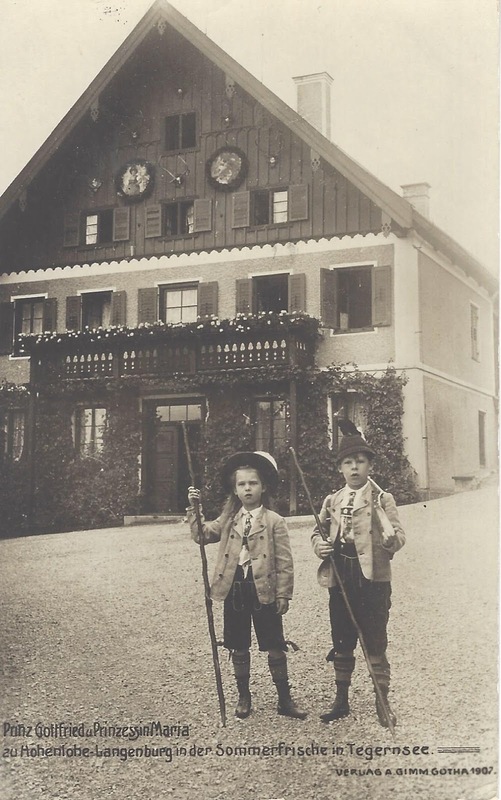 The letters cover the period between 1879-1900. There are plans for a second volume, but no date for publication has been set. 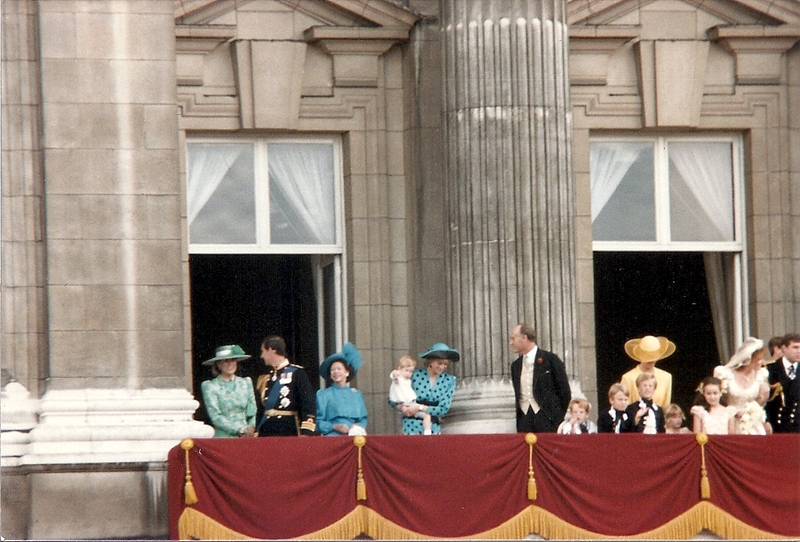 Charlotte Zeepvat wrote an article on Alexandra, "The Other One," which was published in Royalty Digest in March 1993. 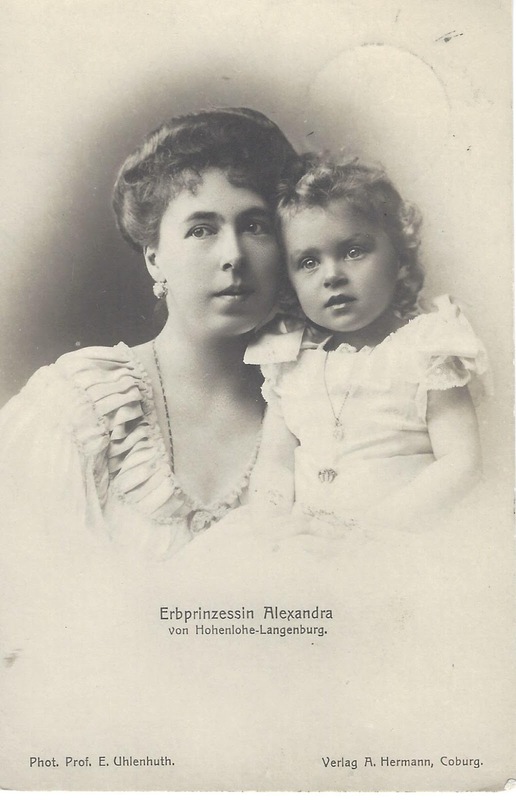 The late John Wimbles' "A Forgotten Princess: Alexandra of Hohenlohe-Langenburg," was published in three issues of Royalty Digest in 2004 and 2005. 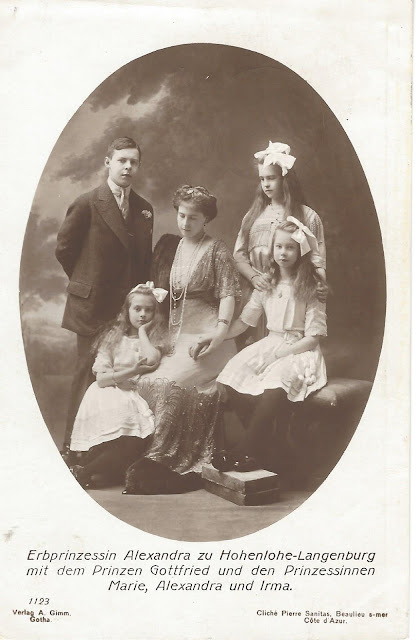 Royalty Digest Quarterly (4:2016) includes my article, "Three Cousins," which is about the weddings of Princess Maud of Wales, Princess Louise of Denmark, and Phttps://royalmusingsblogspotcom.blogspot.com/2013/01/what-bride-wore.htmlrincess Alexandra of Edinburgh, as all were married in 1896.